With the ruling party clearly annoyed by his antics, MDC leader Nelson Chamisa, has vowed to turn the knife in until President Emmerson Mnangagwa’s administration has dealt with the plight of long-suffering Zimbabweans, the Daily News can report. A few hours after Mnangagwa warned that his administration would not allow anyone to abuse the democratic space he claims is a by-product of last year’s coup that toppled former president Robert Mugabe, Chamisa has responded by calling on MDC party faithful to join him in a mother-of-all demonstrations on Thursday. While addressing a Zanu PF rally in Mashonaland West on Saturday, Mnangagwa — along with his deputy Constantino Chiwenga — took turns to denigrate the 40-year-old opposition leader, an indication that his intransigence is clearly getting into their nerves. Chiwenga declared that there was no vacancy at State House in response to the MDC’s claims that the crisis dogging the southern African state was that of legitimacy arising from what they call a rigged July 30 poll. But through its spokesperson Jacob Mafume, the MDC told the Daily News yesterday that Mnangagwa and his deputy should focus on their internal squabbles and an economy that “is refusing to be rigged” instead of falling back into their default mode of closing democratic space. “The guilty are always afraid, he (Mnangagwa) knows deep in his heart that he was beaten by Chamisa that is why he is always talking about Chamisa, he knows that like Mugabe he is in power because he has the guns, he is also too aware that he is the past and Chamisa is the future, they want to close the democratic space, let them try,” said Mafume. “On the 29th, we are going ahead with our demonstration, people have said that they want to demonstrate. The people are clear that they don’t want taxes, they are clear they don’t want to pay in United States dollars when they are paid in bond notes, the police have been notified and as far as we are concerned, we have followed the law”. A showdown between government and the opposition now looms large with Chamisa promising to lead the protests against skyrocketing prices and taxes from the front. Political analysts canvassed by the Daily News said Mnangagwa’s repeated threats against the opposition were ominous and could see arrests of dissenting voices and closure of the democratic space. Respected political science lecturer Eldred Masunungure said Zanu PF sees people’s freedoms as privileges and not rights and could take that away without necessarily caring about the consequences. “The reality is that Zanu PF and its leadership find it strange to open political space; what they did post-November is something that they regret, they now know that the space can be abused and this is because they are not used to democratic space. “When they opened the space, they did not envisage people turning against them and thus they now believe that they have given too much to the people and thus they always warn the opposition that they can close that space. “What is normal in truly democratic countries is abnormal here, they are making the point that we can go back to what we used to, they want to go back to what they are used to do,” said Masunungure. Professor of World Politics at the London School of Oriental and African Studies Stephen Chan said Mnangagwa might be facing the headwinds and could risk losing all the international goodwill he managed to scrap during the time he has been at the helm. He said as long as Mnangagwa is courting Western investment, he needs to be careful not to close any significant democratic space. “In addition, the courts seem to have recovered their sense of independent judgment, and a strong sense of safeguarding the Constitution. Opposition leader Chamisa is like a gadfly who won’t go away. But, while a nuisance to Mnangagwa, he is not a threat. Chamisa does not appear to have united MDC party support. The most sensible thing Mnangagwa can do is to build greater unity in Zanu PF,” said Chan. “But, as I have always said, the time really has come in Zimbabwe to stop focusing on personalities. There are still no economic policies that make any sense in the terrible economic times now developing — nothing from Mnangagwa or Chamisa, Zanu PF or the MDC. Everyone is saying is that they hope to persuade the outside world to give Zimbabwe more money. But the outside world sees a beggar nation with suburbs like Borrowdale Brook,” he added. Political analyst Maxwell Saungweme said Mnangagwa should stop thinking that Zimbabweans owe him anything. “First, we owe our freedoms to God and humanity and not Mnangagwa. Freedoms are not an act of magnanimity from a political demagogue. 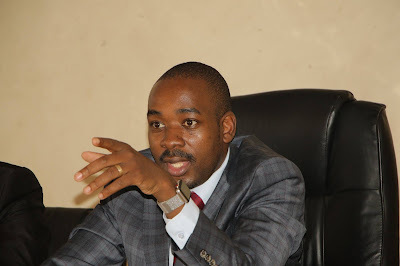 Chamisa has not abused any of the freedoms. He has gone haywire at times with his rhetoric at rallies but none of what he said amount to an abuse of his God-given freedoms. They may try to close the freedoms but that will be a shot in the feet. All their reform agenda, including the budget Mthuli Ncube announced, base their success on a couple of factors, key of them is opening civic space and freedoms,” said Saungweme. Mnangagwa has tried on many platforms to project himself as a reformist and a democrat, but he has of late been warning the MDC against demonstrating.